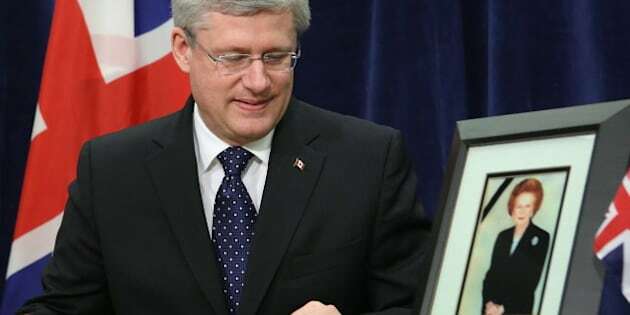 OTTAWA - Prime Minister Stephen Harper will attend the funeral for Margaret Thatcher in London next week. Harper spokesman Andrew MacDougall also says former prime minister Brian Mulroney has been invited to join the Canadian delegation. Mulroney worked closely with the former British prime minister when they were both in office. The Queen is to join the mourners at the funeral, to take place April 17 at St. Paul's Cathedral. It is formally known as a ceremonial funeral, not a state funeral, because the latter requires a vote in Parliament.